Here's a virtually weightless board made of a polystyrene foam core laminated on both sides with a white coated-paper stock. It makes a wonderful back-up for large framed work and a great mounting board for posters. Use it for tabletop displays and signs. Foam board cuts easily with a mat knife or utility knife and can be scored and folded for three-dimensional work. 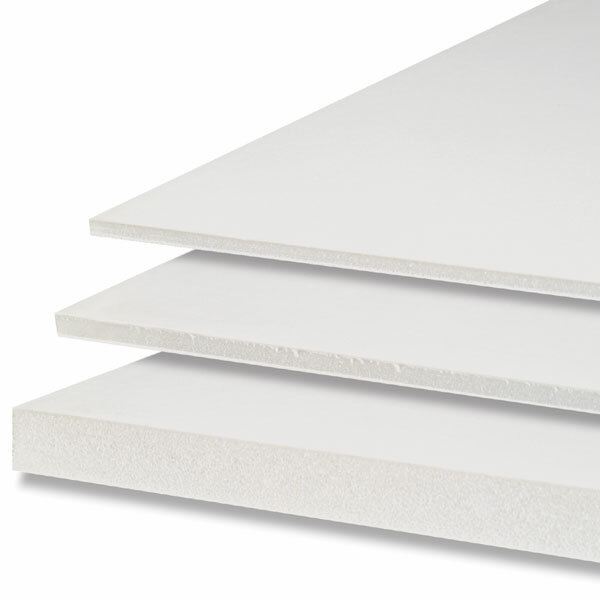 Standard foam board is 3/16" (5 mm) thick. Other thicknesses are available in select sizes. Note — Oversized packages do not qualify for free shipping offers. The large 40" × 60" (102 cm × 153 cm) package requires truck shipment.